Blog stats amuse me and I enjoy looking at them greatly. I love how instantly you can see if a project is taking off or not and if people are responding to it, and I also love how you can chart over a series of months the things people are looking at time and time again. As far as my blog goes, I have a few home run projects, a few that surprise me and at least one that doesn’t. 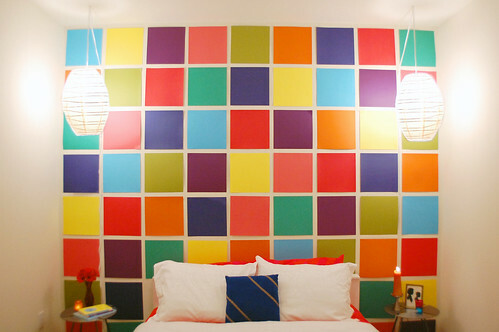 The most visited project on my blog is my Colorful Mosaic Wall on the Cheap. I knew when I did this project that I would get some reaction from it, but I really didn’t expect it to be the most popular project I ever did. I guess people connect with it cause it is simple, cheap, and stunning to look at. And I guess people are always on the lookout for cool décor ideas. Another reason I think this one is successful is because it is a large scale/make an impact project. I tend to believe that the bigger the project is, the more likely it is to get noticed (well, of course, it must look visually good). For example, a simple canvas project may get some buzz, but a whole wall project will get even more buzz. For example, this Sharpie room caught my eye a couple years back. Taking a simple idea and thinking about it in a big way does get a reaction! I owe the success of this project to a couple of things…first off, I sent this to a couple cupcake blogs and one of them picked it up. Seriously since then, I get like 10 hits a day from this one blog. Also, I tagged it with all kinds of things including, “cute cupcake stand”. Now whenever someone looks up that in google, it is the first post to pop up. 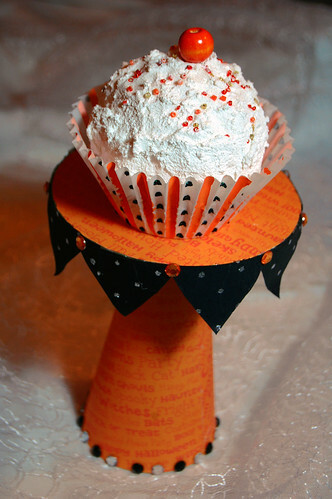 Since cupcakes are so hot right now, there’s a lot to be said about that as well. I keep wondering if I need to make another since this one was so popular. 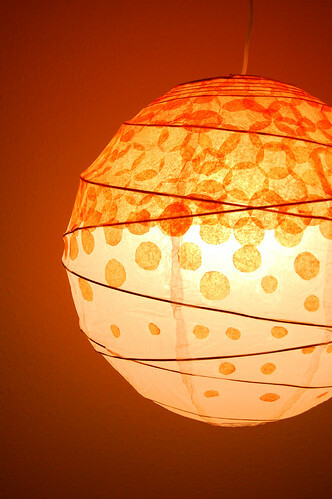 My other most popular project is my DIY Dotted Tissue Paper Lantern. I think this one is popular because of how great the photograph turned out + the fact that it looks ultra mod, but yet simple to do. 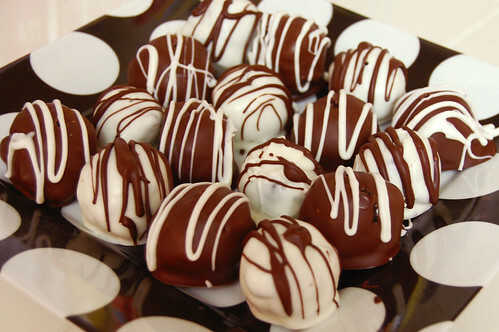 THis Oreo Truffle recipe is a top draw as well. I just think it goes to show how mixing up recipes in your blog can bring visitors to your blog. Also, the fact that I tagged it a lot of things help people find this one too. And, not that anyone really cares, I got scolded for not attributing Bakerella for this recipe, but I’m pretty sure this recipe didn’t originate on Bakerella’s site either. 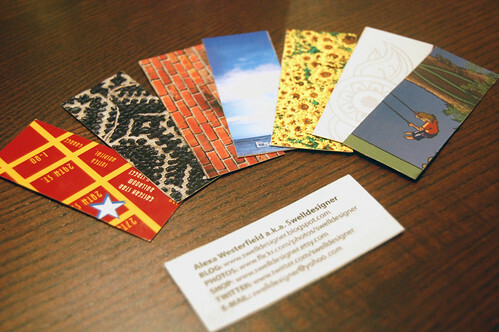 And for some reason, these mini recycled business cards get a lot of attention too. I guess people want an alternative to Moo cards that they make themselves on the cheap. I totally get that. I’m happy I found a solution that people out there are looking to for an idea! What do I take away personally from these stats? People like cheap crafts that look good, photography of your projects really does make a huge difference, and make sure you tag your projects really well. I will continue to make/do all these things as long I keep this blog alive and well. Are those new business cards I see?